In the event of illness, please inform the parish office of your desire to receive this sacrament. Arrangements will be made for administering the sacrament. If you have experienced the loss of a loved one, or are planning ahead for such a loss, please contact one of the Priests or Deacons before going to the funeral home. They will be able to assist you with many of the decisions you will be facing at the time of loss. 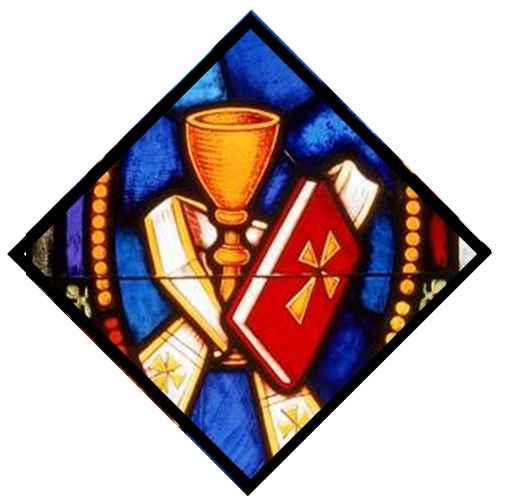 The Sacrament of Matrimony is available to registered and active members of the Parish. A minimum of six months is needed for marriage preparation in accordance with the policy of the Archdiocese of Oklahoma City. Please have a recent Baptismal Certificate (not older than six-months) before contacting one of the Priests or Deacons. A wedding guidelines form is available through the Parish office. Baptism of infants of registered and practicing members of the parish are coordinated with the parents. Parents and Godparents are required to attend a Baptismal Seminar before the Baptism. Please call Mrs. Yamil Rivera to make arrangements and register for the Baptismal Seminar. For more information, call the Parish office (405) 634-2458. El Bautismo para los infantes, de los miembros registrados y activos de la Parroquia se coordinan con los papas. Los papas y padrinos deberan asistir a un Seminario Bautismal antes del Bautismo. Por favor llame a Yamil Rivera para hacer los arreglos necesarios y registrarse para las platicas Pre-Bautismales. Para obtener más información, llame a la oficina parroquial (405) 634- 2458. The schedule of Eucharistic Services is on our calendar. First Communion is celebrated in the spring and coordinated through the religious education program. For information on the preparation for First Confession and First Communion, contact the Office of Religious Education. El primer viernes del mes la Misa es dedicada al Sagrado Corazon en especial por los enfermos de la Parroquia. The regular schedule for Reconciliation is on our calendar. Children's First Penance is coordinated through the Religious Education Program. Adults who have not been Baptized or Confirmed should enroll in the Rite of Christian Initiation for Adults (RCIA). The program starts in July. Children over the age of seven years old that have not been baptized should enroll in the Rite of Christian Initiation program for children. It is a two-year program and it is coordinated by the Office of Religious Education.